The Microgaming progressive pokies jackpot has broken the Guinness World Record for the highest internet slot jackpot. It is currently sitting at over £16 million (AU$29 million) and continues to grow. The previous record was at £13.2 million back in 2015 which is over 22 million in Australian dollars. The last winner of the jackpot was in June, and since then the jackpot has been growing. Should the winner of this jackpot hail from the UK, this will also set Guinness World Record. The previous UK winner who set the record is the same person who won in 2015 taking home over £17 million (AU$31 million). The reason why a UK player will break the world record is that of the exchange rate for other countries. If the jackpot is won by a Canadian or a New Zealander the jackpot will be less than the £17 million. The current record jackpot will the fifth pokies jackpot in the history of Mega Moolah. It will also be the first jackpot to have gone over the £16 million mark. In 2017, the jackpot was triggered almost every month with a record of 13 slot jackpot wins in 12 months. At the beginning of 2018, the jackpot was triggered every month from January to April, and the last jackpot won was in June. As a result, it has been two months since the jackpot was won. It also means that the jackpot has been growing at approximately £3 million a month and £100 000 every day. When the jackpot is finally won, it will reset to the base jackpot of £1 million. That also applies if the jackpot has been won in the UK. If it is won in another currency, it will reset to the currency conversion of the amount. 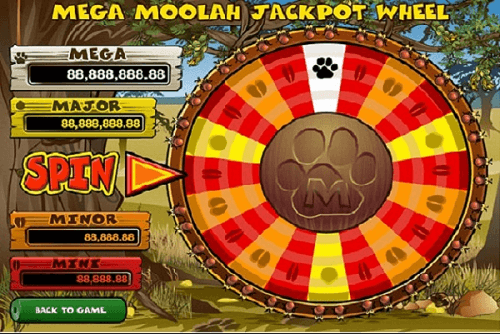 Since the Mega Moolah game uses the Random Number Generator, it means that the jackpot can be triggered at any time. Let’s keep tracking this jackpot and see how far it will go.